One of those moments tonight when, following the daily routine of watching the night’s TV news, you are pulled up short. Channel 4 News broadcast outstanding video footage, filmed by an anonymous French photojournalist, that revealed graphically what is happening in the Syrian city of Homs, under siege for days now from shelling by government forces. We’ve seen a lot of low quality footage, filmed on mobile phones and the like, beamed out of Syria on YouTube and other internet channels. 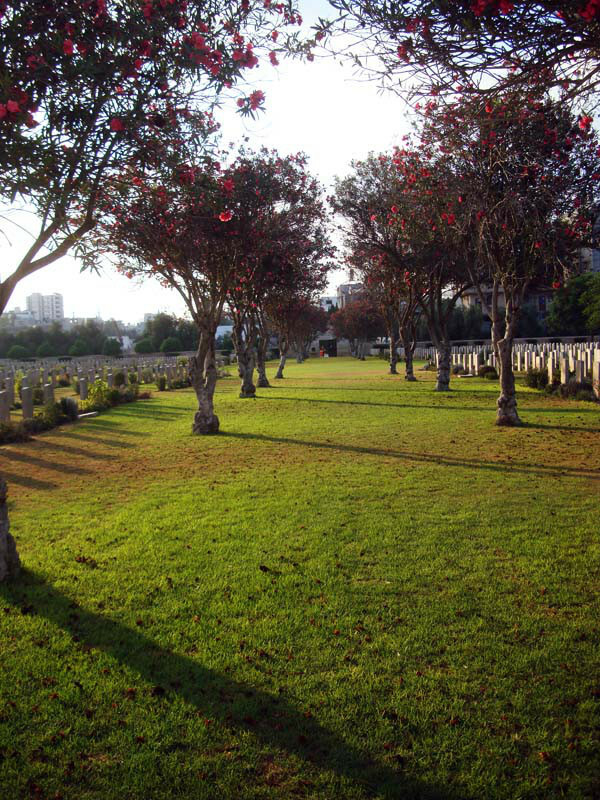 But this film, shot by ‘Mani’, a photographer who has been to Homs several times,was crystal clear. The incredible footage a vivid and frightening account of what Homs has been like for the past three weeks. 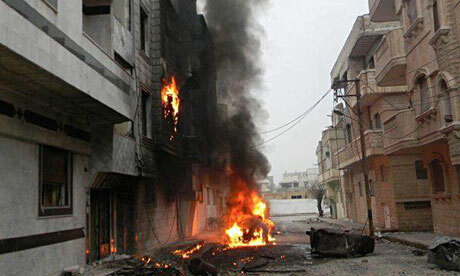 The massive Syrian government bombardment and assault on opposition districts in Homs began on February 3. ‘Mani’ filmed the beginning of the assault, the effects on the population, and the response of the Free Syrian Army to the massacre, on the first day, of over 140 people. It was an awful coincidence that Mani’s film was broadcast on what has been the worst day in the Syrian conflict for journalism. The dangers of reporting from Homs have been tragically highlighted by the deaths of Marie Colvin (of the Sunday Times) and award-winning French photographer Remi Ohlik. 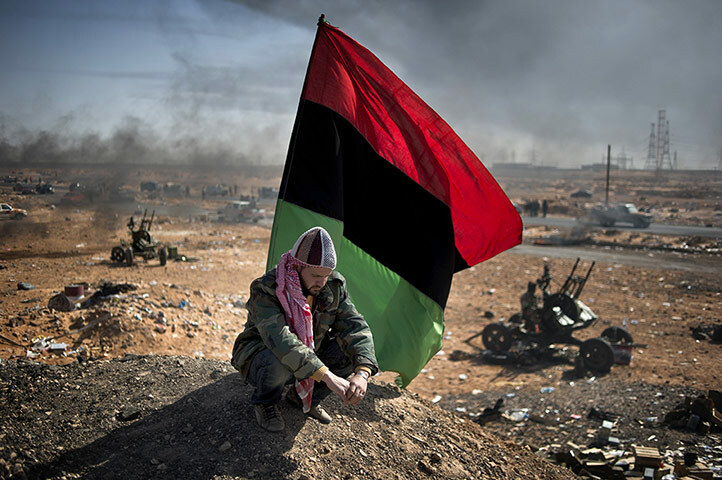 His image, ‘Battle for Libya’ (below), won first prize in the general news section of the 2011 World Press Photo awards. It shows rebel forces outside Ras Lanouf, Libya, in March 2011. 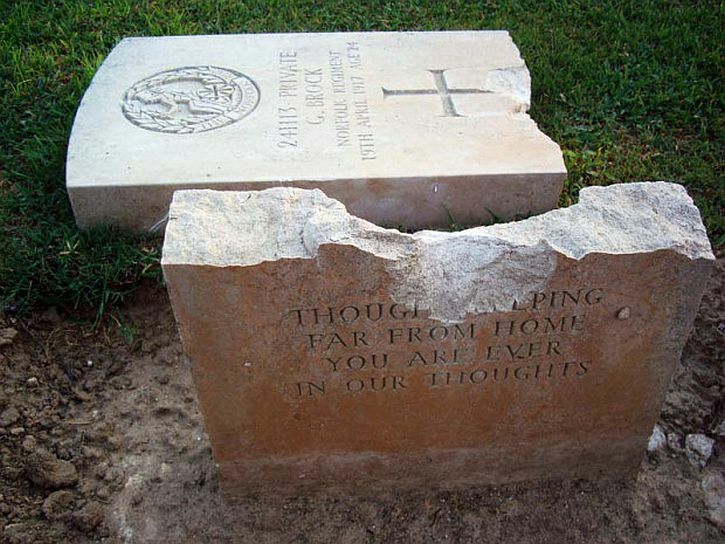 Our mission is to report these horrors of war with accuracy and without prejudice. We always have to ask ourselves whether the level of risk is worth the story. What is bravery, and what is bravado? Journalists covering combat shoulder great responsibilities and face difficult choices. Sometimes they pay the ultimate price. … I lost my eye in an ambush in the Sri Lankan civil war. I had gone to the northern Tamil area from which journalists were banned and found an unreported humanitarian disaster. As I was smuggled back across the internal border, a soldier launched a grenade at me and the shrapnel sliced into my face and chest. He knew what he was doing. Also dead is the citizen journalist Rami al-Sayed, who provided live video streams from Homs and posted more than 800 videos on YouTube. He was also hit during the shelling of Baba Amr on Tuesday and died some hours later. His YouTube channel, Syria Pioneer provided many of the online videos showing the Syrian government’s bombardment of Homs that were used by news organisations like ITN and the BBC. Tonight, Channel 4 News concluded with the grim news that there are now no remaining channels for news out of Homs. This shocking image reveals as starkly as any could that the struggle in Egypt is not yet over. It was taken over the weekend and shows a young woman being dragged away from protests in Tahrir Square on the third day of clashes between the Egyptian military and protesters demanding that Egypt’s military rulers give up power – protests that have left 14 dead. Tonight The UN’s human rights chief, Navi Pillay, has called for the arrest and prosecution of members of the Egyptian security forces involved in the crackdown on protesters. They dragged the unconscious young woman in the blue jeans – with her upper half stripped – through the streets. Ahdaf Soueif is the author of the bestselling The Map of Love which was shortlisted for the Booker Prize for Fiction in 1999. She is also a political and cultural commentator: a collection of her essays, Mezzaterra: Fragments from the Common Ground, was published in 2004. She has a new book Cairo: My City, Our Revolution published in January 2012. It’s been a year since Mohamed Bouazizi set fire to himself in a provincial Tunisian town – an event that triggered a year of revolt that has flared not just across the Arab world but the entire planet in what has turned into the most potent year of protest since 1968. This is Sidi Bouzid, the Tunisian town where Mohamed Bouazizi set himself on fire, photographed for Time magazine this December. 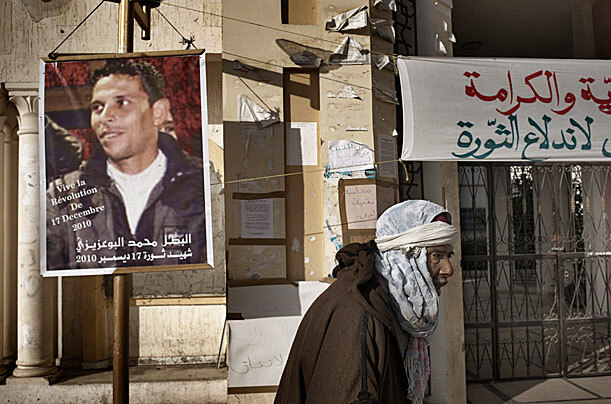 A portrait of Bouazizi hangs outside the Governor’s office that was the site of the young street vendor’s protest. History often emerges only in retrospect. Events become significant only when looked back on. No one could have known that when a Tunisian fruit vendor set himself on fire in a public square in a town barely on a map, he would spark protests that would bring down dictators in Tunisia, Egypt and Libya and rattle regimes in Syria, Yemen and Bahrain. Or that that spirit of dissent would spur Mexicans to rise up against the terror of drug cartels, Greeks to march against unaccountable leaders, Americans to occupy public spaces to protest income inequality, and Russians to marshal themselves against a corrupt autocracy.Protests have now occurred in countries whose populations total at least 3 billion people, and the word protest has appeared in newspapers and online exponentially more this past year than at any other time in history. Is there a global tipping point for frustration? Everywhere, it seems, people said they’d had enough. They dissented; they demanded; they did not despair, even when the answers came back in a cloud of tear gas or a hail of bullets. 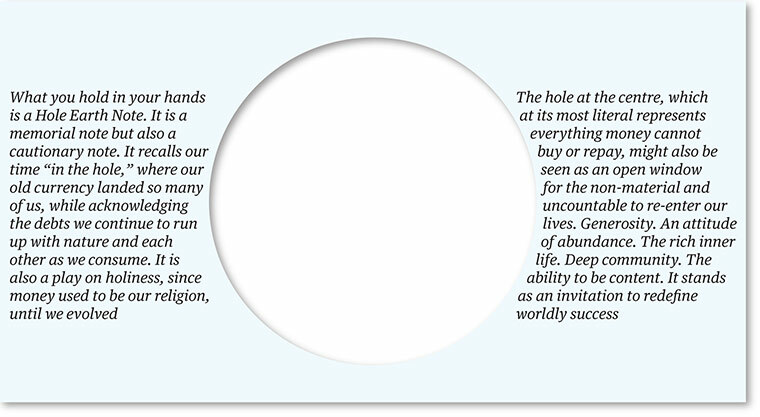 They literally embodied the idea that individual action can bring collective, colossal change. And although it was understood differently in different places, the idea of democracy was present in every gathering. The root of the word democracy is demos, “the people,” and the meaning of democracy is “the people rule.” And they did, if not at the ballot box, then in the streets. America is a nation conceived in protest, and protest is in some ways the source code for democracy — and evidence of the lack of it. Everywhere this year, people have complained about the failure of traditional leadership and the fecklessness of institutions. Politicians cannot look beyond the next election, and they refuse to make hard choices. That’s one reason we did not select an individual this year. But leadership has come from the bottom of the pyramid, not the top. For capturing and highlighting a global sense of restless promise, for upending governments and conventional wisdom, for combining the oldest of techniques with the newest of technologies to shine a light on human dignity and, finally, for steering the planet on a more democratic though sometimes more dangerous path for the 21st century, The Protester is TIME’s 2011 Person of the Year. But it is far more than material privation that underlies this year’s youth revolt, more than just a question of how to integrate into the globalised economy the talents and expectations of 80 million unemployed young people from the most well-educated generation in human history. At the heart of this most potent insurrection since 1968 is an expression of the deep uncertainty about how the future will pan out. “It’s the first time in American history that a generation came along and was told: ‘No, things are gonna be worse for you than they were for your parents’,” says Jesse LaGreca, a prominent Occupy Wall Street figure who has travelled to occupations across the US. When you speak to those organising the Occupy movement, it is remarkable how important Tunisia and Tahrir were to their own action. No longer was the west to be a democratic beacon to the Middle East. It was very much the other way around. “Who would have thought that Mohamed Bouazizi would set in motion such a series of events?” says David Osborn from the Occupy Portland movement. He says that many in the west were “deeply moved and inspired” by seeing protests across the Middle East, but that Egypt in particular had captured Americans’ imagination. It is easy to dismiss the interconnectedness of 2011’s youth-driven resistance movements; and it is possible even to deny they amount to any kind of identifiable social phenomenon at all. Certainly, comparisons between the pepper spray of Oakland and the tank shells of Homs can be facetious, and the triumphs of the protester – named this week as Time’s “person of the year” – appear scant if limited purely to the arena of formal political change. The generation that grew up being told they were the heirs to Francis Fukuyama’s end of history and victory of a liberal capitalist society, is now working its damnedest to prove how untrue this is, not for the sake of utopian reimagination but to resolve the very serious problems that very system has created. 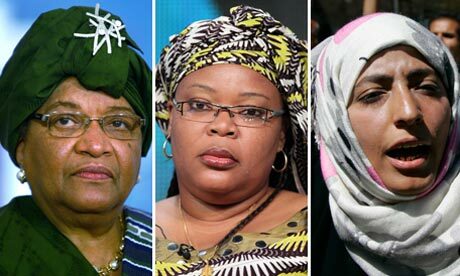 Ellen Johnson Sirleaf, Leymah Gbowee and Tawakkul Karman. Remarkably, too, the Nobel Peace Prize was shared this year by three women who have campaigned for peace and democracy in Liberia and Yemen. The Nobel committee said the three had been chosen “for their non-violent struggle for the safety of women and for women’s rights to full participation in peace-building work”. In the most trying circumstances, both before and during the Arab spring, Tawakkul Karman has played a leading part in the struggle for women’s rights and for democracy and peace in Yemen. Karman has been a key figure among youth activists in Yemen since they began occupying a square in central Sana’a in February demanding the end of the Saleh regime, and has often been the voice of activists on Arabic television, giving on-the-ground reports of the situation in the square outside Sana’a University, where dozens of activists have been shot dead by government forces. She called her award ‘a victory for the Yemeni people, for the Yemeni revolution and all the Arab revolutions’. This is a message that the era of Arab dictatorships is over. This is a message to this regime and all the despotic regimes that no voice can drown out the voice of freedom and dignity. 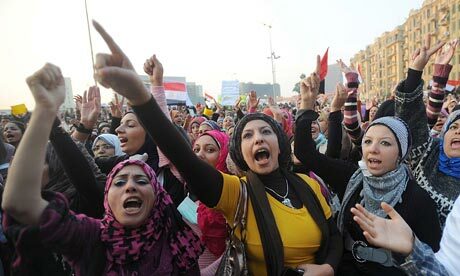 This is a victory for the Arab spring in Tunis, Egypt, Libya, Syria and Yemen. Our peaceful revolution will continue until we topple Saleh and establish a civilian state. Jesus was an occupier: born in poverty, born under Roman occupation. Under threat of his life his parents took him to Egypt as an immigrant, as a refugee. 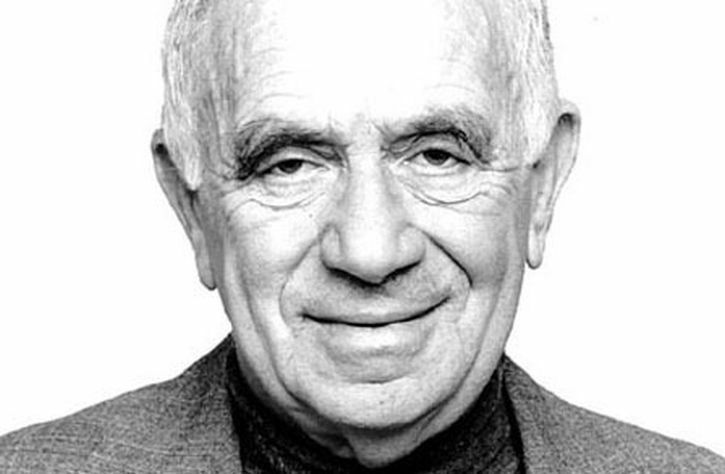 He served the poor, he challenged the prevailing ethos of power in Rome. … Gandhi was an occupier … Martin Luther King was an occupier …They are all exalted now but they were rejected as occupiers, as protesters, as radicals, called terrorists by governments. 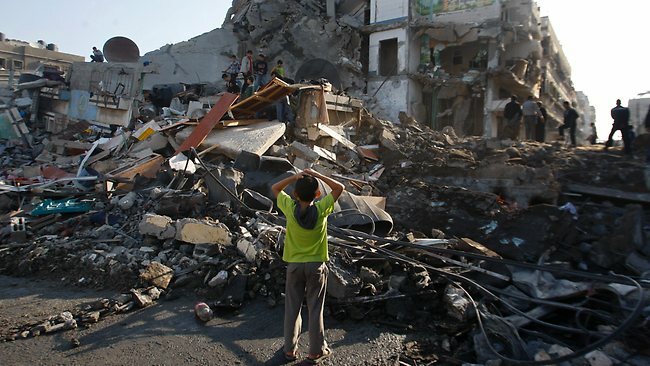 The occupiers’ cause is a just cause, a moral cause. They should not be dismissed but heard – listen to their message. Occupiers are the canaries in the mine, warning us of the dangers – few have too much, too many have too little, too much poverty, too many costly wars. Banks got bailed out, people got left out. 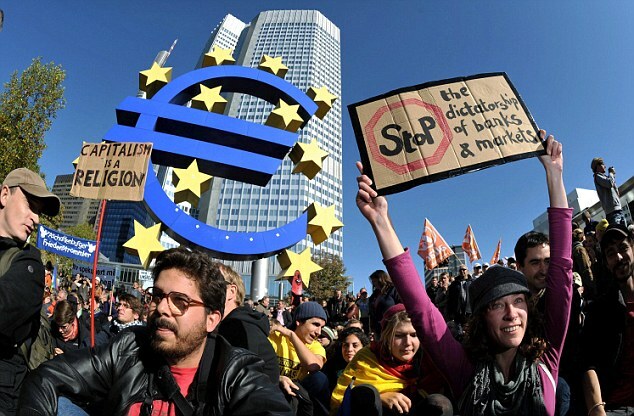 Protesters are criminalised but not a single banker has gone to jail for their crimes, the corruption and greed which drove the global economy to the brink of collapse. Jackson said: ‘The church should be the headquarters for the Occupy movement. … The occupiers represent the conscience of the church’. Writing from the very region that produces more clichés per square foot than any other “story” – the Middle East – I should perhaps pause before I say I have never read so much garbage, so much utter drivel, as I have about the world financial crisis. But I will not hold my fire. It seems to me that the reporting of the collapse of capitalism has reached a new low which even the Middle East cannot surpass for sheer unadulterated obedience to the very institutions and Harvard “experts” who have helped to bring about the whole criminal disaster. Let’s kick off with the “Arab Spring” – in itself a grotesque verbal distortion of the great Arab/Muslim awakening which is shaking the Middle East – and the trashy parallels with the social protests in Western capitals. We’ve been deluged with reports of how the poor or the disadvantaged in the West have “taken a leaf” out of the “Arab spring” book, how demonstrators in America, Canada, Britain, Spain and Greece have been “inspired” by the huge demonstrations that brought down the regimes in Egypt, Tunisia and – up to a point – Libya. But this is nonsense.The real comparison, needless to say, has been dodged by Western reporters, so keen to extol the anti-dictator rebellions of the Arabs, so anxious to ignore protests against “democratic” Western governments, so desperate to disparage these demonstrations, to suggest that they are merely picking up on the latest fad in the Arab world. The truth is somewhat different. What drove the Arabs in their tens of thousands and then their millions on to the streets of Middle East capitals was a demand for dignity and a refusal to accept that the local family-ruled dictators actually owned their countries. The Mubaraks and the Ben Alis and the Gaddafis and the kings and emirs of the Gulf (and Jordan) and the Assads all believed that they had property rights to their entire nations. 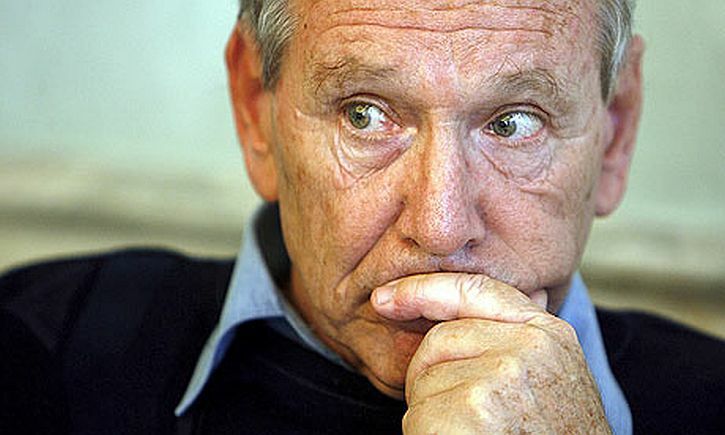 Egypt belonged to Mubarak Inc, Tunisia to Ben Ali Inc (and the Traboulsi family), Libya to Gaddafi Inc. And so on. The Arab martyrs against dictatorship died to prove that their countries belonged to their own people.